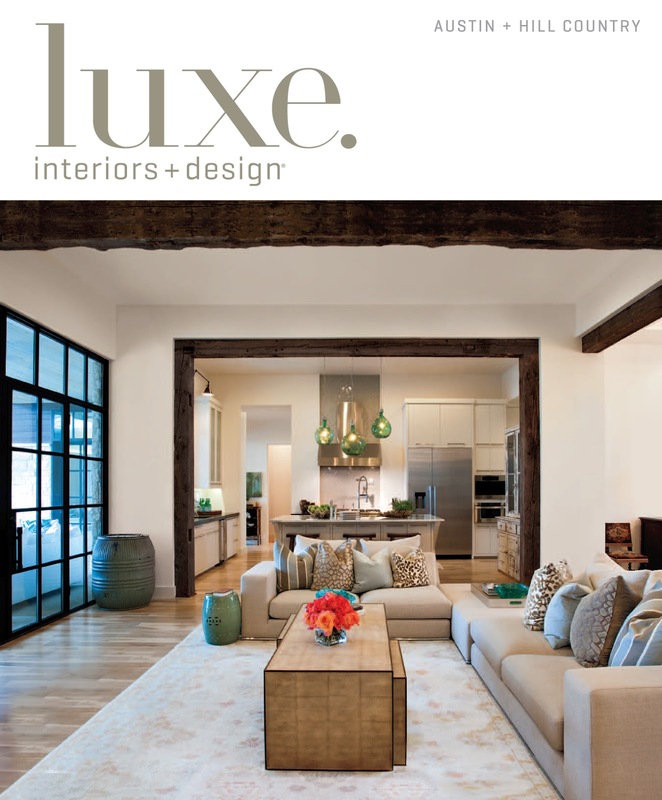 If you haven't seen the latest issue of Luxe Interiors + Design Magazine, pick one up today! Our Cat Mountain Residence is the cover feature! You can find the entire editorial feature on pages 200-213. We are very excited to be participating in Austin's Modern Home Tour this year! 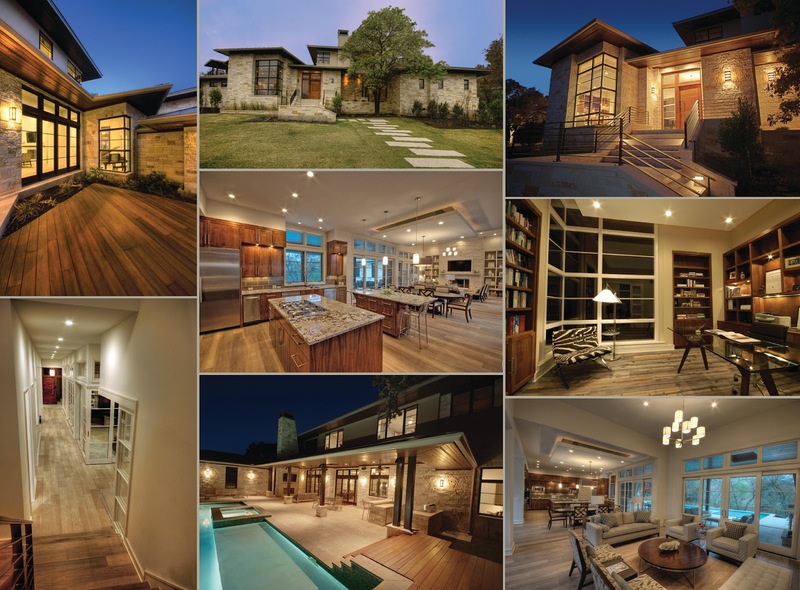 Each year the Austin Modern Home Tour features spectacular homes from some of Austin’s premier Modern Architects and a selection of modern homes currently on the Austin market. These homes represent a forward movement to introduce more modern designs to Austin and provide visitors with the chance to experience the modern lifestyle. Here's a sneak peak of our featured home! Come check it out in person, along with 14 other homes, on Saturday, February 2nd from 11am to 6pm. You can purchase tickets here! 1. Get lots of toilet paper. Buy your stash before dusk, as you will look pretty suspicious buying toilet paper at 10:00 at night. The best kind of toilet paper to get is double rolls. It lasts much longer, so you can usually get 4 or 5 throws over a moderately sized tree, and the heavier weight makes it easier to throw accurately. In addition a single cheap roll of toilet paper will only get 2 or 3 throws over a tree. 2. Pick a time. The time should be one where people are not still up and walking their dogs. Be sure to get information on how late the neighborhood usually stays up. This can be very useful, and sometimes not knowing how late to go can be very embarrassing when you show up somewhere with a bunch of bags. Don't go too late, though! If you wait too long, you will get sleepy, and possibly fall asleep, which will ruin the night! 3. Consider what time of year it is. If it is during summer, weekdays are a must, as most adults will go to bed pretty early. During the rest of the year, it is good to pick a night when you have the following day off (such as the day before Spring Break, or days during Presidents' Weekend are very good days to hit). Remember that during Summer you will have to stay up extra late, because many people wait until it is very late to go to bed. A lot of choosing where and when depends on where you live, so make smart decisions! 4. Don't freak out if you make noise when you arrive at the house. If someone sneezes, or you trip over a stick, don't worry. No one is going to get up in the middle of the night for a minor noise. They will, however, wake up and look out the window if the noise persists. So stop the noise ASAP, but don't run away. 5. Pull a long arm's width of toilet paper from the roll when you go for trees. Hold the roll like you would hold a bike handle, but vertical. Throw the roll into the tree. it should trail up and over beautifully, and plunk on the ground on the other side. Walk to the other side, and repeat as necessary. For bushes, trail the toilet paper all over them, and push wads of toilet paper deep into bushes, to make it toilet papered inside, and out. 6. Make lettering on the backs of cars with toilet paper (this is optional, and quite easy). Figure out what you are going to spell. It should be 5 letters or less. You could write, "we win" or something similar. Don't write something mean or cruel, because if you get caught, it might look more like vandalism than a prank. Anyways, pull off enough toilet paper, spit on the back every few inches, and place on the car. It won't leave marks, but it will take a while for you to get it right. You can also write on windows with car window paint. Make sure it is the kind made for car windows so it doesn't stain. A common saying to write is "Got'cha!" 7. 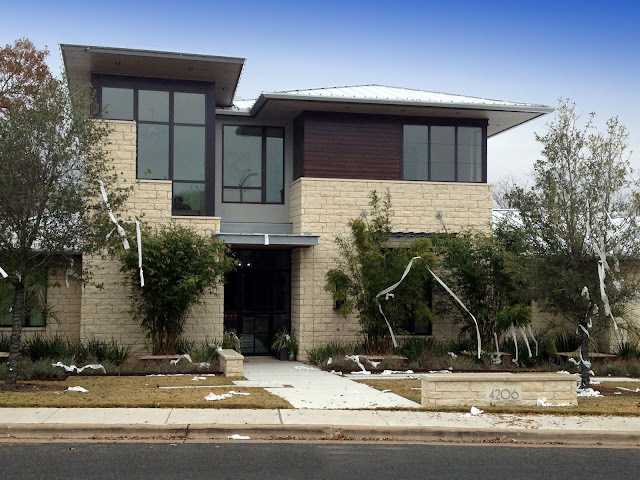 Rip small pieces of toilet paper off the roll and scatter them all over the lawn. Lots and lots of small pieces are very good. 8. Make sure to throw the rolls over high branches in the trees. If you only get the lower branches, it can easily be taken down, you want your hard work to stay for a couple days. Note: if you hit houses often, or just want to do an amazing finishing touch, do something creative like tying bows around the lights or doing smiley faces on the driveway. Use your imagination! Frankly, I think these kids could have done much better!